In the wake of World War II, with Britain’s empire collapsing and Stalin’s on the rise, U.S. officials under new secretary of state George C. Marshall set out to reconstruct western Europe as a bulwark against communist authoritarianism. Their massive, costly, and ambitious undertaking would confront Europeans and Americans alike with a vision at odds with their history and self-conceptions. In the process, they would drive the creation of NATO, the European Union, and a Western identity that continues to shape world events. Why and how did the Truman administration come to choose a massive U.S.-administered grants-in-aid plan as a primary diplomatic tool in Europe? Did the Marshall Plan work as an economic recovery program? Did it work as a diplomatic strategy? What is unusual, in terms of contemporary economic thinking, about the economic thinking behind the Marshall Plan? Consider in particular the role of monetary policy and exchange rates. The United States has spent far more on reconstruction aid, in current dollars, in Iraq and Afghanistan than it did on the Marshall Plan. Why hasn’t it been more successful? Could a “Marshall Plan” have worked, or could it work, as an economic and diplomatic strategy outside the early Cold War context? When, why, and how do you believe the Cold War started, and could it have been avoided? Was the early Cold War a conflict based mainly on ideology, geography, or something else? Why was Germany so pivotal in the early Cold War? To what extent did the United States impose policies on Marshall aid recipients, and to what extent did it permit them to chart their own course? To what extent did the Marshall Plan influence the development of important multinational institutions like the United Nations, the European Union, and the North Atlantic Treaty Organization? Is the present conflict between Russia and the West a continuation of the Cold War or something new, based on factors unrelated to the Cold War? How did the thrust in U.S. foreign policy change from FDR to Truman? How might it have been different had FDR lived to finish his fourth term—that is, to what extent was the transition to Truman important or unimportant? 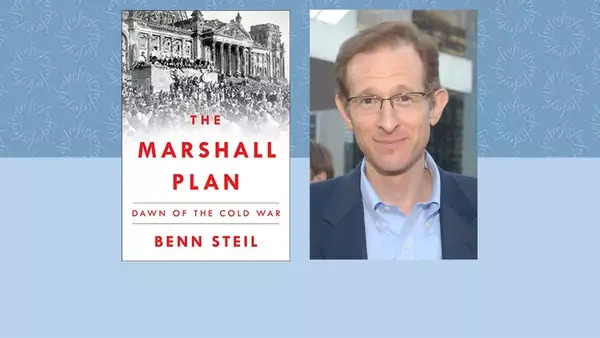 To what extent was the Marshall Plan a logical evolution in U.S. foreign policy or a radical break from earlier traditions? Write an 800-word opinion piece arguing that the Marshall Plan shows us the importance, or alternatively the limitations, of non-military approaches to security. Assign students to one of two groups, the first one arguing that NATO expansion after the collapse of the Soviet Union was a good strategy for the United States and the second arguing that it was not. Both groups should make reference to the early Cold War period, and the lessons that could be drawn from it. The facilitator should ensure that students distinguish between policy that is good in terms of moral principle and policy that is effective in achieving its aims. To what extent should alliances be considered important to the NSS? How should economics fit into the NSS? How should the NSS reflect changes in the economic and security environment since the early Cold War period? Acheson, Dean G. Present at the Creation: My Years in the State Department. New York: W.W. Norton & Company, 1969. Gaddis, John Lewis. George F. Kennan: An American Life. New York: Penguin Press, 2011. Haas, Lawrence J. Harry and Arthur: Truman, Vandenberg, and the Partnership That Created the Free World. Lincoln, NE: Potomac Books, 2016. Harrington, Daniel F. Berlin on the Brink: The Blockade, the Airlift, and the Early Cold War. Lexington, KY: Kentucky University Press, 2012. Isaacson, Walter, and Evan Thomas. The Wise Men: Six Friends and the World They Made. New York: Simon & Schuster, 1986 . Kennan, George F. (“X”). “The Sources of Soviet Conduct.” Foreign Affairs. July 1947. Kennan, George F. “NATO: A Fateful Error.” New York Times. February 5, 1997. McCullough, David. Truman. New York: Simon & Schuster, 1992. Milward, Alan S. The Reconstruction of Western Europe, 1945-51. Berkeley and Los Angeles: University of California Press, 1984. Narinsky, Mikhail M. “The Soviet Union and the Marshall Plan.” Cold War International History Project Working Paper Series. No. 7. Washington, DC: Woodrow Wilson International Center for Scholars, March 1994. Parrish, Scott D. “The Turn Toward Confrontation: The Soviet Reaction to the Marshall Plan, 1947.” Cold War International History Project Working Paper Series. No. 7. Washington, D.C.: Woodrow Wilson International Center for Scholars, March 1994. Pechatnov, Vladimir O., and C. Earl Edmondson. “The Russian Perspective.” In Debating the Origins of the Cold War: American and Russian Perspectives, edited by Ralph B. Levering, Vladimir O. Pechatnov, Verena Botzenhart-Viehe, and C. Earl Edmondson. Lanham, Maryland: Rowman & Littlefield, 2001. Yergin, Daniel. Shattered Peace: The Origins of the Cold War and the National Security State. Boston: Houghton Mifflin Company, 1977.